Gruesome at times, The Equalizer is a rewarding action film for every single Denzel Washington fan out there. Rooting for a badass hero with a kickass attitude has never been as satisfying as watching Denzel Washington dish out some brutal punishment. 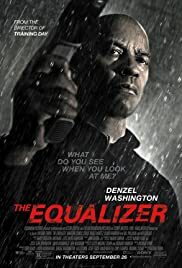 This is exactly what you get in The Equalizer, an action thriller based on the late 80's TV series of the same name, but amped up with ultra-violent realism.